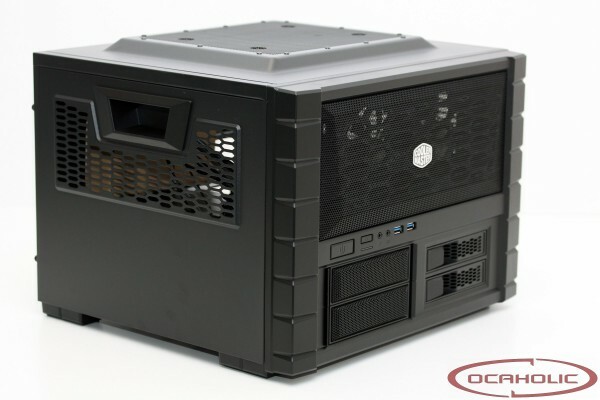 With the HAF XB, Cooler Master presents a case which features a refreshingly different form factor. If we had to define what this product exactly is, then we'd say that we're talking about something similar to a cube case but mixed with ideas from a test bench. The interior of the case is split in two different compartments where the motherboard goes in the top part and power supply as well as hard drives have to be installed in the bottom area. On the following pages we will show you the strengths and weaknesses of the Cooler Master HAF XB.